Moving on from the comfortable warmth of Utah, we wandered into the furnace of Las Vegas. We climbed mostly in the shade, and still wound up a bit dehydrated and burnt. This little piece of the desert is just an all-around unfriendly place. 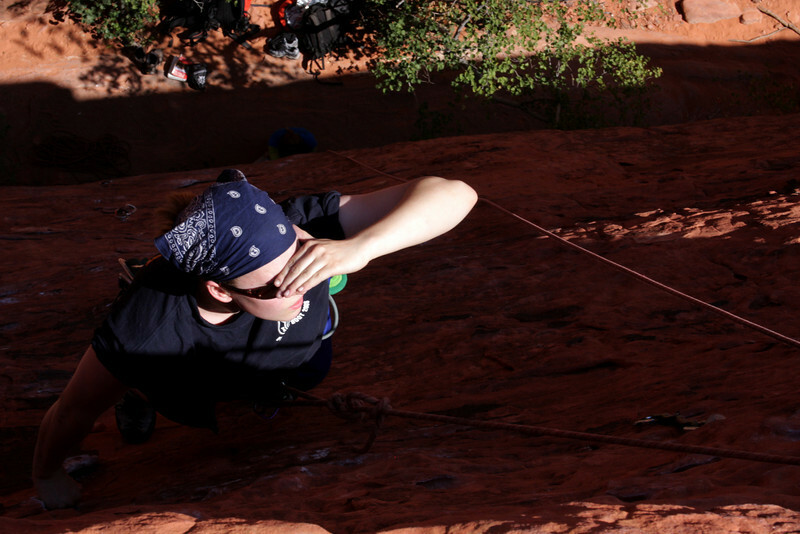 Jess shades her eyes and looks for holds at the top of a route in Red Rocks.